Wow. Life magazine has put up 10 million photographs from their archives on Google images. 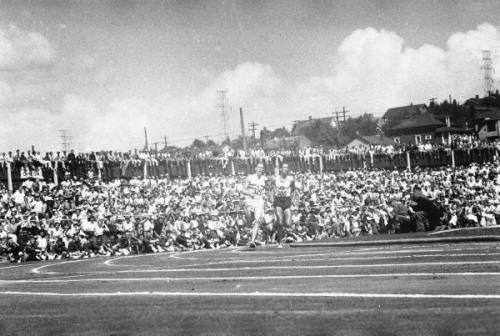 This one is a 1954 photo of Roger Bannister passing John Landy during the Empire Games in Vancouver wherein he ran a sub 4 minute mile.